When choosing the best online casino site for you, you have to clarify several questions concerned with specifics of gambling venues such as their reputation, sign-up conditions, payout percentage and, certainly casino payment methods. Go to our Beginner’s Guide page here to know more about Choosing an Online Casino. As a player can’t be sure whether a casino accepts his/her preferred payment method and it takes a lot of time to clear up this question in every casino, we tried to help gamblers by listing all the most commonly offered and popular deposit methods in this page. This article in Just Aussie Casinos aims to introduce preferable deposit methods that are available for gamblers in top online casinos, including a brief about them and the link to join them. Australian Casinos have a good range of deposit as well as withdrawal options catering mostly to Australian players. You might be surprised to see the range of deposit options casino provide for player convenience. They provide and guarantee the same security as your e-banking service. Reputable casino do not store any of your details in their or anyone else’s system, no disclosure is the policy. Debit or Credit Cards are widely offered to players in almost all casinos. Visa, MasterCard, Maestro Debit are certainly some of the most trusted online payment methods online. Wire transfers are a safe and easy way to deposit at online casinos. Wire transfers are especially good for depositing and withdrawing large amounts of money from an online casino. However, wire transfer may take several days to process but it’s one of the safest methods to use. Every player who enters a casino website has a desire to win huge. This is only possible if he is a real player which means he has to register with the casino and choose a suitable payment method. Not every casino will offer the same methods, but most established and reputable online sites will support the top payment methods that are trusted and easy to use. No matter where players are playing, they will find a variety of options available for managing their casino account. All the above deposit means may vary depending on the region the player is located. Most Aussies players may find methods like Credit/Debit Cards, Poli, Skrill, Neteller, EcoCards and Wire Transfer more convenient whereas players from UK and other parts of Europe may find Ukash, or Paysafecard a more preferable depositing option. Players from Finland or Sweden may find methods like Euteller or Instant bank better as they are closely linked with banks from that region. Australian Casino Guide appreciates that many players do not wish to expose their credit card details or their personal bank account details to casinos. This is one of the issues that new players might face while dealing with online casinos. For those players, there are other numerous deposit methods to select in order to register with the casino. Players can select a direct transfer from their bank or a wire transfer. Here are also a number of electronic payment methods that are trusted in the industry. These include e-wallets such as Neteller, Skrill, Click2Pay and many more. 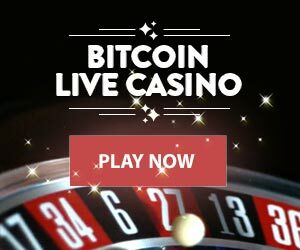 With these methods, a third party acts as a medium between your casino account and your online bank service making sure there is no disclosure of any sensitive information that the user is uncomfortable with. The online payment methods that are used in online casinos and safe, fast and completely secured. The best online casinos will take every step to ensure that all players are guaranteed privacy and safety, making the process of depositing and withdrawing simple and safe. Australian Casino Guide advise all players to take a considerable amount of time to choose the deposit method that best suits their need and ability of a smooth and efficient banking transaction with their favourite online casino.